Our volunteers our vitally important to supporting our cancer support centre, charity shops and events. 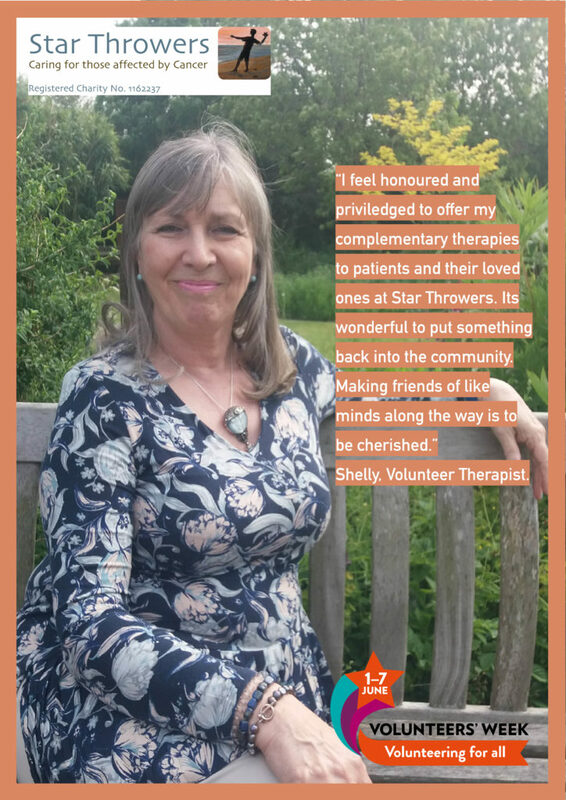 We currently have over 40 volunteers and in 2017 they donated 4,735 hours of their time to Star Throwers. See below for our current volunteer opportunities. All volunteers will be given a thorough induction. If you are interested in volunteering your time for any of these roles please download contact us for an application form. 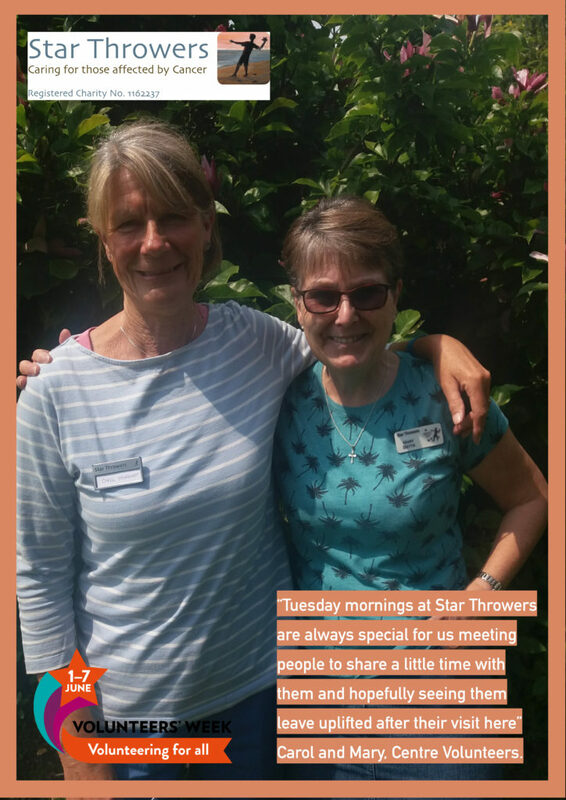 We are always looking for community volunteers to help us out at events, delivering and collecting collection tins and representing Star Throwers to raise awareness and thank our supporters. If you are green-fingered and would to help maintain our large garden we would love to hear from you. We currently have two charity shops: one based in Wymondham and the second in Attleborough. 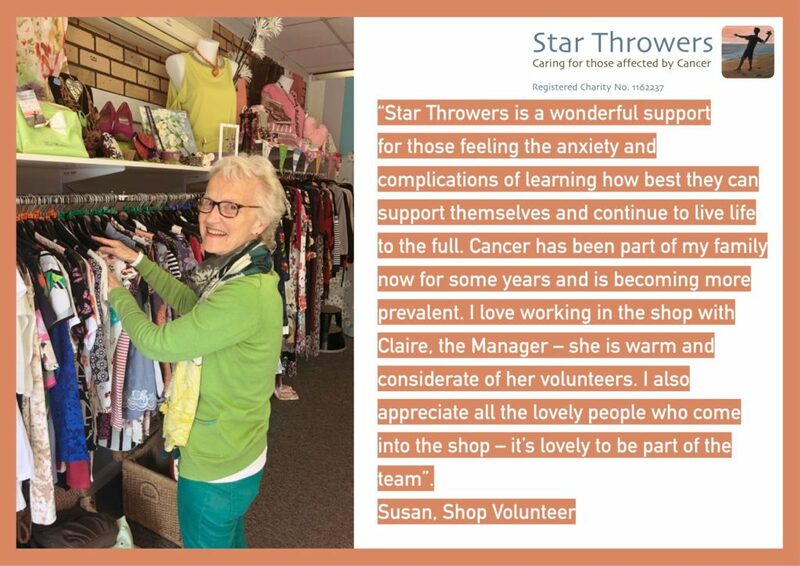 Charity shop volunteers are vital to both shops and help with tasks such as serving customers, sorting, steaming, and pricing. Please contact us if you are interested in volunteering.